Avant Aurora Ultimate 90 Flybarless RC Helicopter Kit 2013 Model. The Absolute Best 3D machine ever is the Sexiest Too!!! 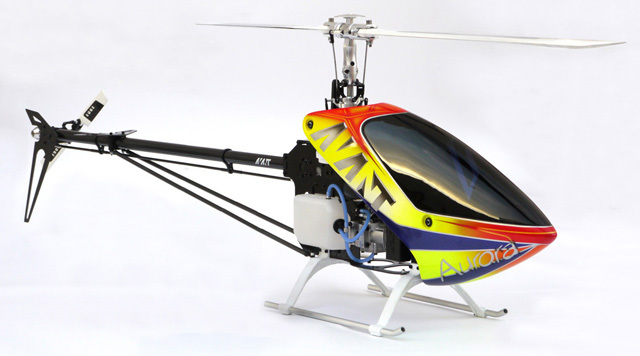 The Avant Aurora is the helicopter that redefined the design of advanced 3D RC helicopters. After an extensive amount of testing and refinements as well as technological breakthroughs the final product is a combination of the strongest and most reliable airframe together with the sexiest looking style that will make you the envy of everyone at your field. The flying characteristics are simply unparalleled. 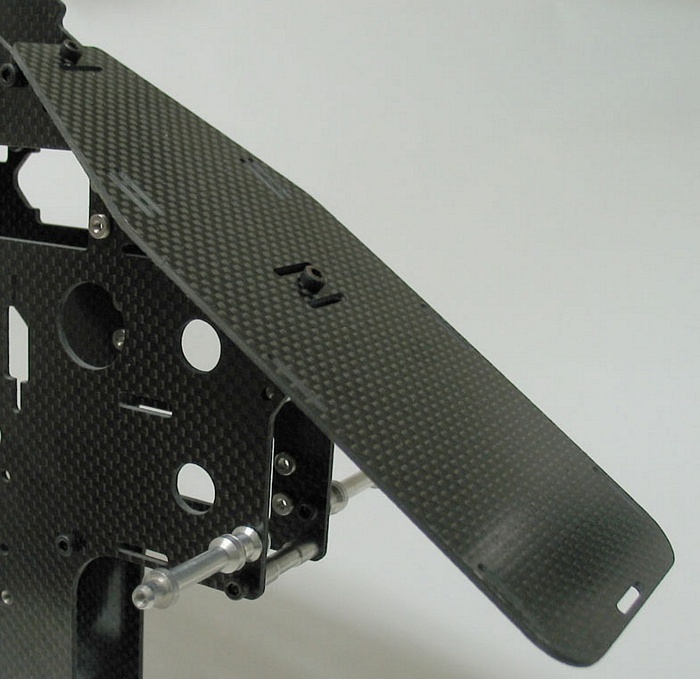 It flies light and nimble yet with the precision of a contest machine. Ancient Greek and Roman goddess of the dawn. The bearer of things to come and mother of the four winds. Aurora presages the begining of the future. 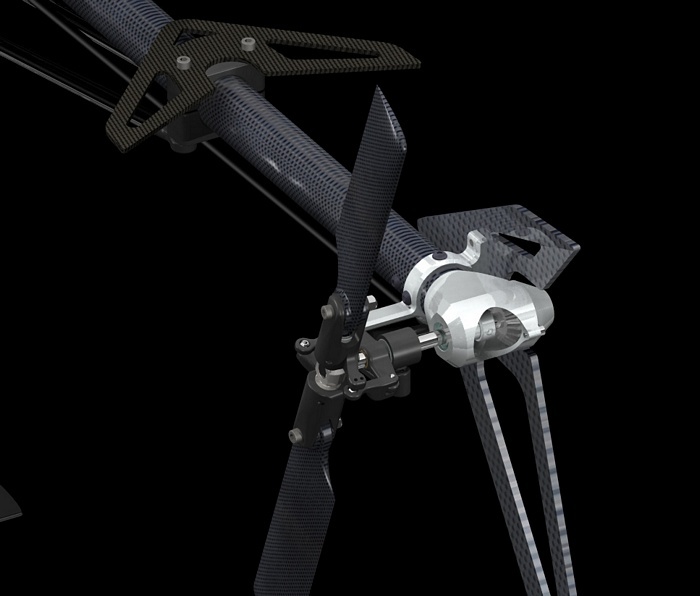 The model uses the tried-and-true and very succesful CCPM system and the Avant FBL RigidCore Head and combines them with the rest of a design that takes the state of the art in high performance helicopters to a new level. A very slim design and low front profile give the Aurora a very low drag coefficient that allows it to keep the momentum in the most demanding maneuvers. An incredibly low parts count makes this an extremely easy to repair and maintain heli. A very streamlined figure makes it easy for axis alignment and orientation axis into the most precise maneuvers. A slanted battery plate with easily replaceable straps makes it easy to exchange power packs finally allowing for a practical way to use lighter packs and save on flying weight. 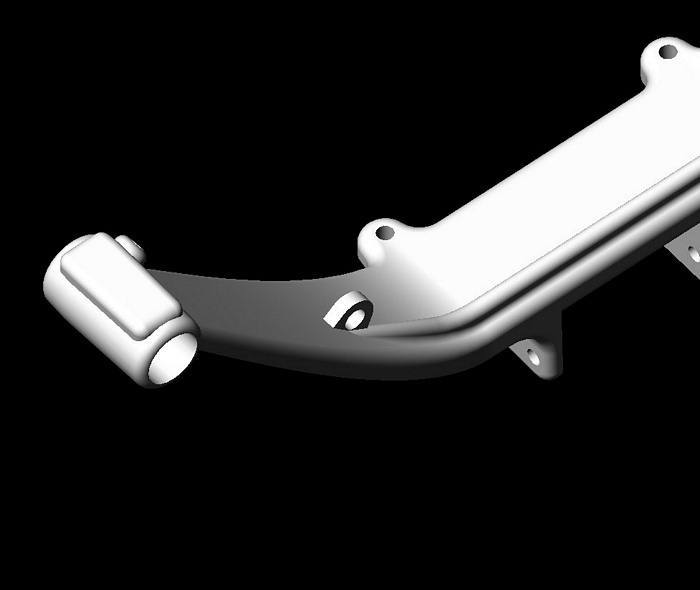 At the same time the battery plate slides and adjusts upwards and downwards allowing for CG adjustments without the need to add additional weights. The Aurora uses the most rugged torque tube system. 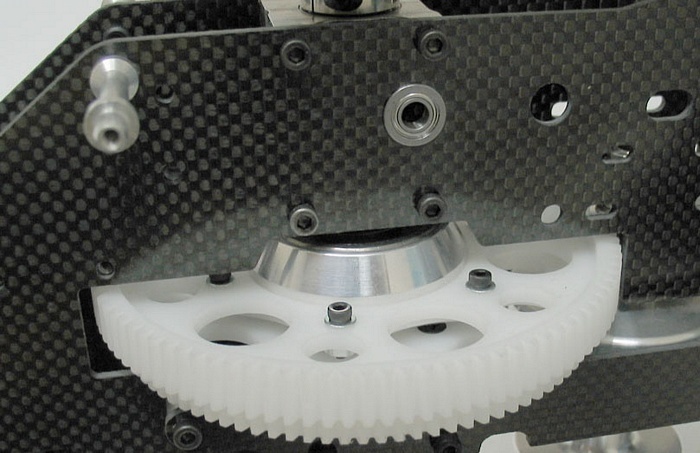 The generously sized gears are designed to take about 9 times the actual forces while in flight so that the pilot can use and abuse the system without the usual concerns of the typical torque tube systems. A 4.9 tail to main ratio makes it a very nice system with all the tail authority you’ll ever need. 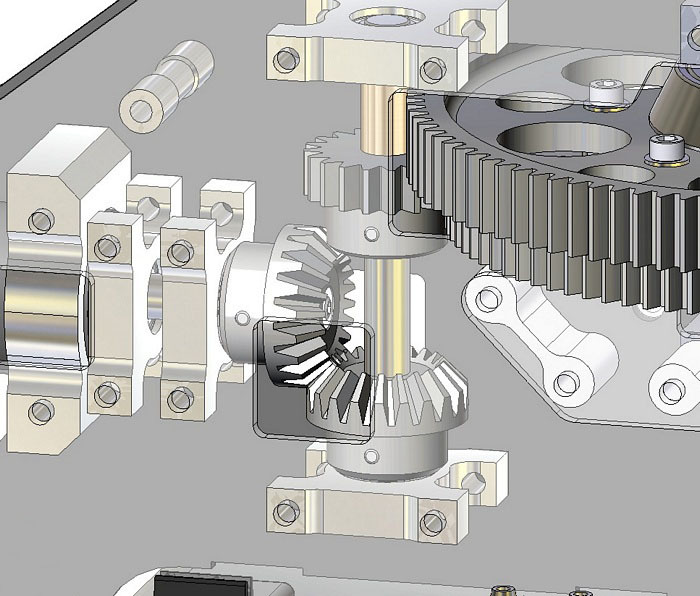 The torque tube Gear Layout allows to accommodate for a possible future belt system. The Aurora Ultimate uses a carbon tailboom for extra stiffness and lightweight. The Aurora tailcase gear system is a work of art on itself. Designed to be lightweight and rugged it holds a very innovative gear system. To service the gears the pilot simply loosens the tailhub setscrew and takes the three gearcase cap screws off and the whole systems comes out to the right for a very easy servicing access. Also notice that instead of using a fixed length brass sleeve the Aurora tailcase uses an ingenious adjustable bearing sleeve that allows you to keep the tail output shaft without any lateral play whatsoever and prevents the brass sleeves from eating into the gear’s delrin. Besides being extremely light the tailcase is also very stylish. 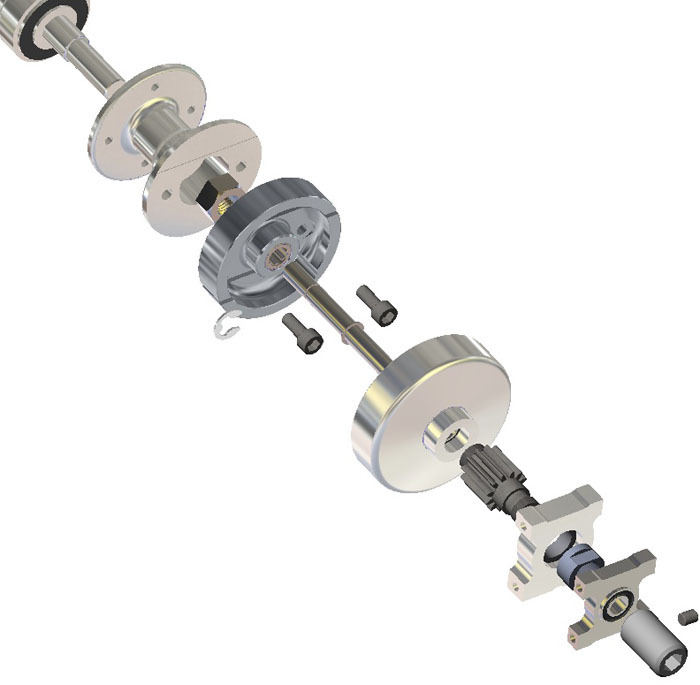 Notice how the tail output shaft is a 6mm diameter and the tailhub is a 5mm diameter shaft for extra resistance for those not-so-perfect autos. 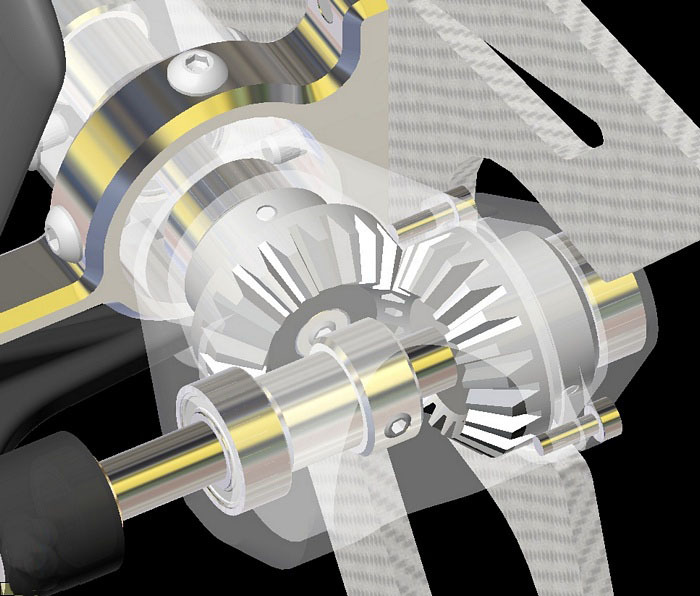 The tailhub threads are made inside to minimize the creation of fatigue cracks. It also makes taking the tailblade grip off a single operation with a wrench from the outside of the tailgrips. Two widely spaced radial bearings and one trust bearing make it a very precise tailgrip system. One of the nicest features of the Aurora is the main gear system. It uses delrin gears with a special high load tooth profile that minimizes the noise and rattling. The generously sized main gear is larger than most of the standard gears lowering the point of contact forces applied to the gear’s teeth. 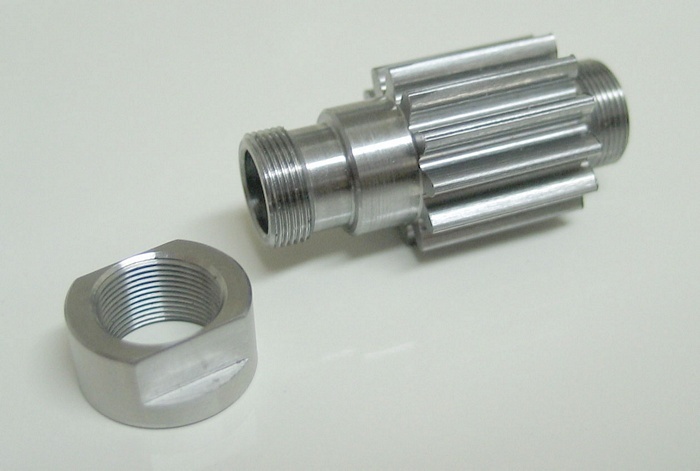 All the parts are precisely machined by completely automated systems guaranteeing part to part consistency. Thanks to heavy automation the company has been able to virtually eliminate the cost advantage that manufacturers located in low wage countries had over the USA made products. This is a trend that’s happening in many USA industries that have been plagued by low quality imported parts and have opted to invest in automation thereby eliminating the need to outsource manufacturing to those low wage countries. 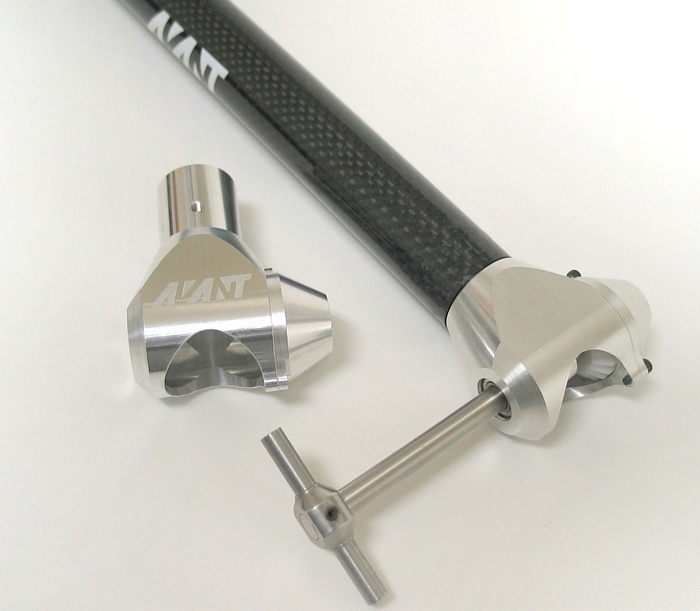 The kit has been updated with many improvements including the famous AVANT RigidCore flybarless head. An upgrade kit is available to convert it to the Aurora 120 reinforced to handle the high stress of the new 120 and 105 size engines. 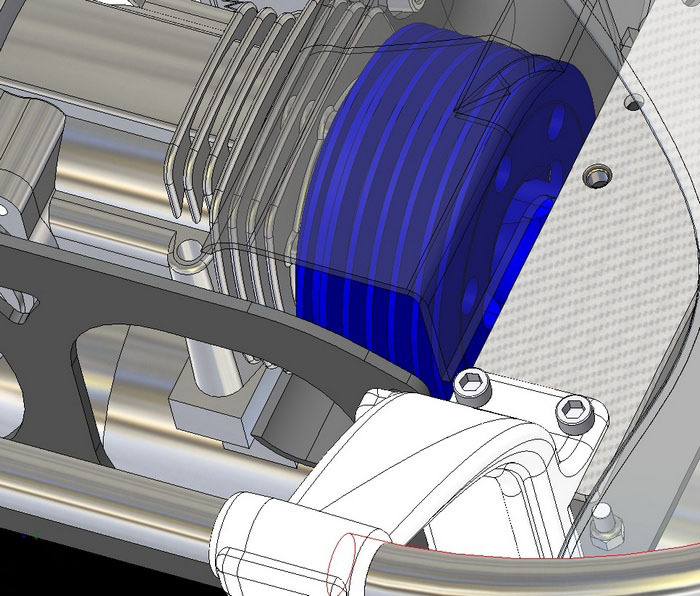 The clutch stack uses a precision point-threaded fan hub that virtually eliminates the need to dial-indicate the fan. 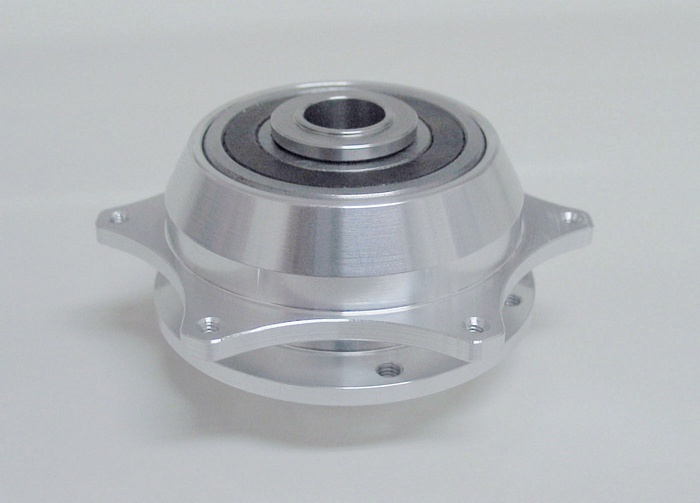 The Starter shaft is not attached to the clutch directly but through a one-way bearing. This prevents the starter shaft from transmitting vibrations to the frame and allows for the use of simple inexpensive starter wands. Many nice features are incorporated in the design. Ample room for today’s large engine heads is taken into account as well as clearance so that the head can be extracted or swapped without having to take the engine off the heli. 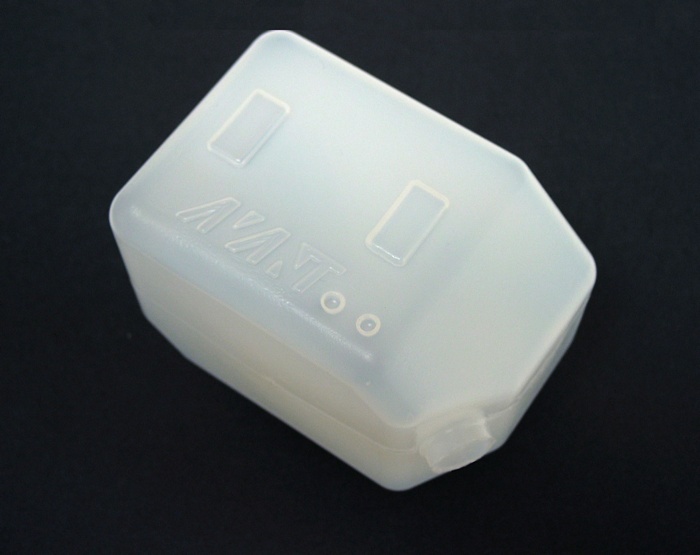 The Aurora tank is designed to optimize the location of the fuel pickup minimizing the distance from the pickup point to any point inside the tank. 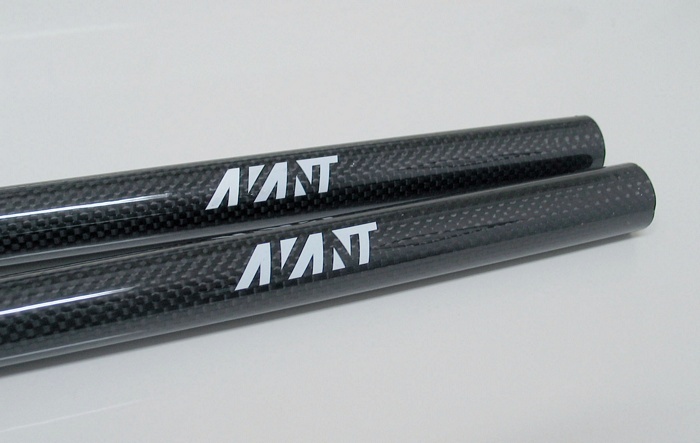 A generous 19 ounce capacity allows for longer flights and more time for practicing.